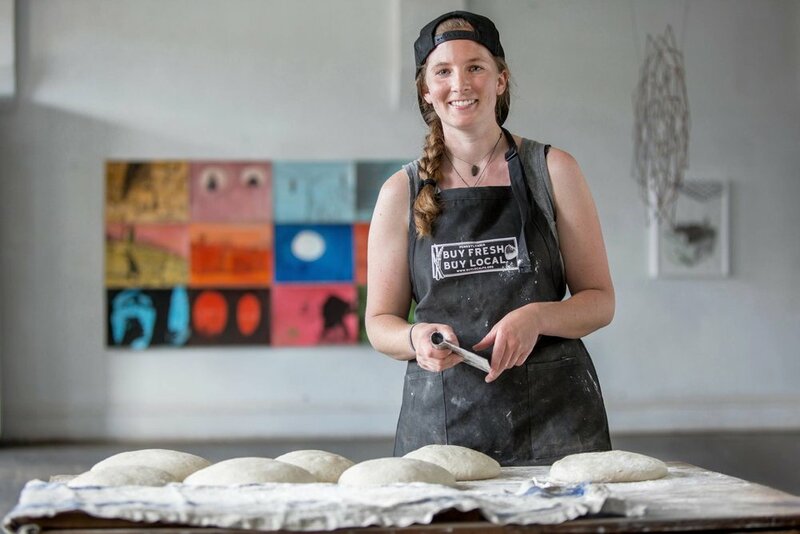 If you're interested in learning how to bake bread with locally grown rye flour, this class is for you! This workshop will cover the fundamentals of baking with rye flour, including basic mixing, shaping, and scoring techniques. Learn how to adapt recipes to use rye flour, and learn where to source local grains in the Pittsburgh area! The workshop will be followed by a tasting. Sign up for the Introduction to Whole Wheat Bread workshop on October 27th to bundle and save! Shauna Kearns is a baker and teacher from Toronto, Ontario. A 2016 graduate of Chatham's M.A. in Food Studies Program, Kearns has worked at wood-fired ovens and bakeries worldwide, including the UK, US, and Canada. Learn more about Shauna here.